The Fire Island Water Slide is a one piece two story water slide spectacular. Climb the ladder and pick from the small straight slide or climb higher and plummet down the high slide with a cascading drop and a 90 degree turn into the pool. 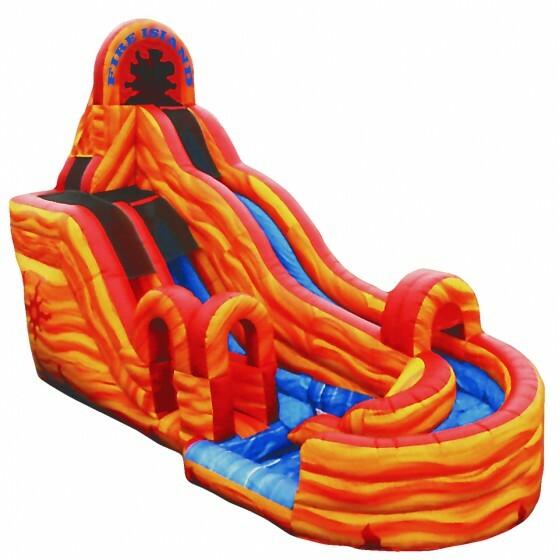 This thrill water slide will give you and your guests hours of water fun!